Looking for those fall basics without the bad ingredients? Mineral Fusion's line has a lot to offer with sheer to fully opaque lipsticks, liners, and mascaras to give your everyday looks the right touch without harmful chemicals. Many of their products are vegan as well! 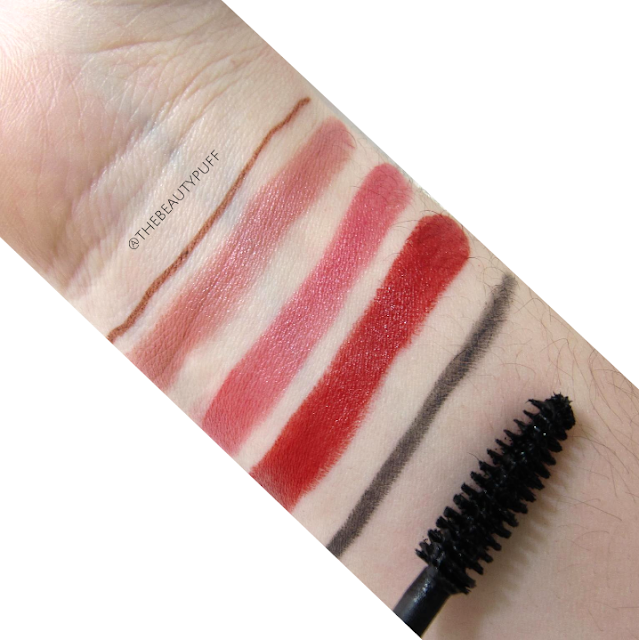 Today we'll look at some lip and eye products I've been loving for fall. Lips | Mineral Fusion lipsticks are packed with antioxidants and hydrating ingredients such as shea butter and jojoba seed oil so they're the perfect choice for the cooler months. Every lipstick is vegan and free of parabens, phthalates, talc and artificial color. There are fifteen shades to choose from and I have three - Inspire (mauve), Intensity (pink) and Flashy (red). 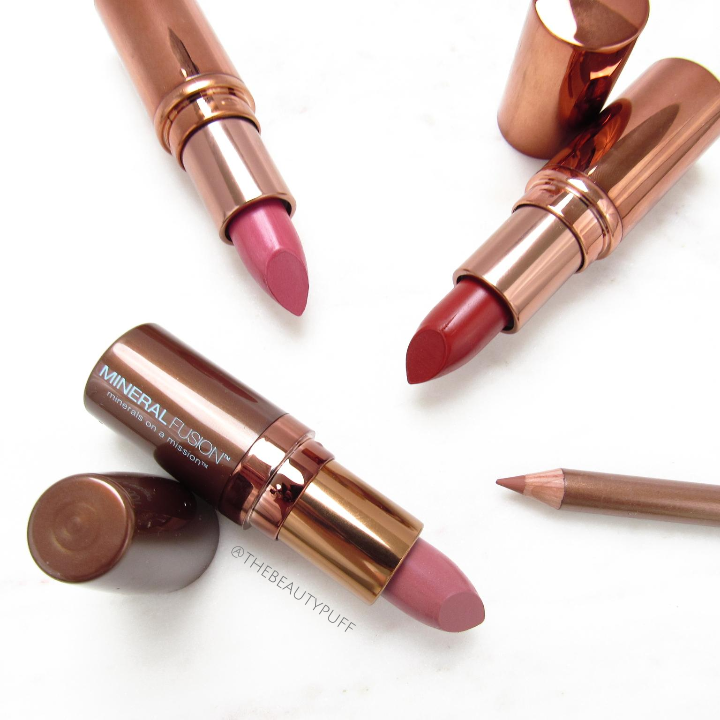 Inspire is a more sheer formula, but it's my favorite for an everyday fall lip. The formulas are all smooth and comfortable no matter which you choose. If you want a simple look with a liner, Mineral Fusion makes four shades. I have the shade Graceful with is a really pretty dusty pink. It's a versatile, neutral lip that can be worn on its own or topped with a lipstick or gloss. Eyes | Nothing says classic style like a smokey eye and long, defined lashes. I have Mineral Fusion's eyeliner in Volcanic, a gorgeous cool gray. It has the slightest hint of blue which brightens and looks great day or night. I love a gray liner for a soft look in the fall. 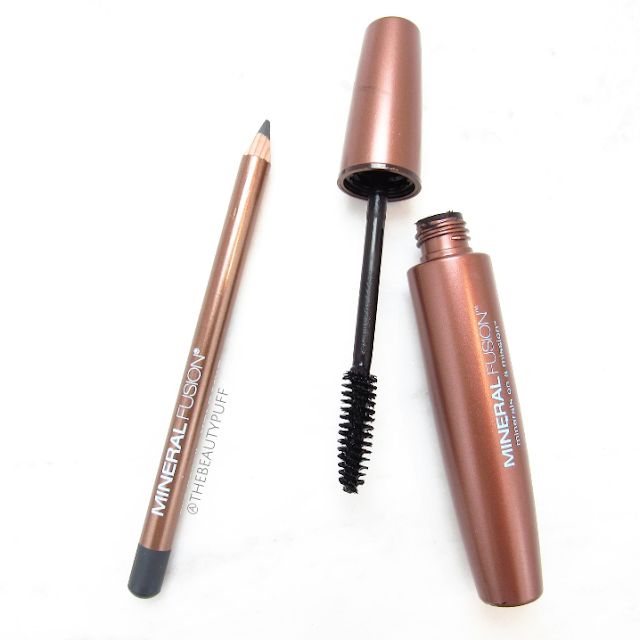 To top it all off, the Mineral Fusion lengthening mascara is great for everyday. It comes in two colors, Rock (brown) and Graphite (black). I have the shade Graphite. Its gentle formula wears well throughout the day without clumps or smudges and provides length and volume for a complete, polished look. No need for special makeup remover either, I have used my everyday cleanser and the mascara washes off effortlessly. Check out the entire Mineral Fusion line on their website below.